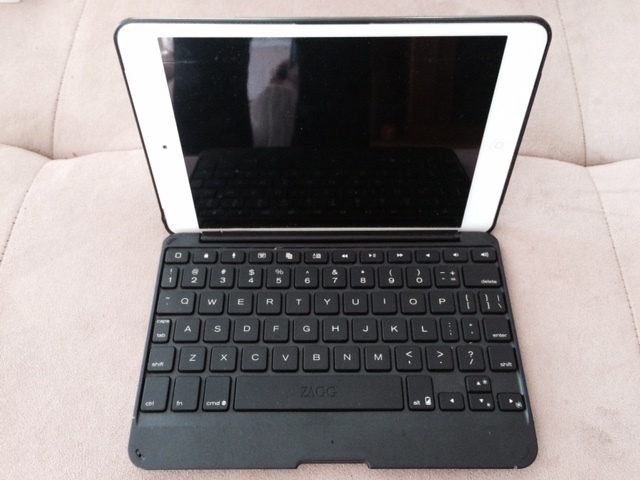 Step 1: Take a boring looking black iPad keyboard case… Mine was black and I never liked it very much. I suppose it is considered “understated” and deters unwanted interest… time to change that! 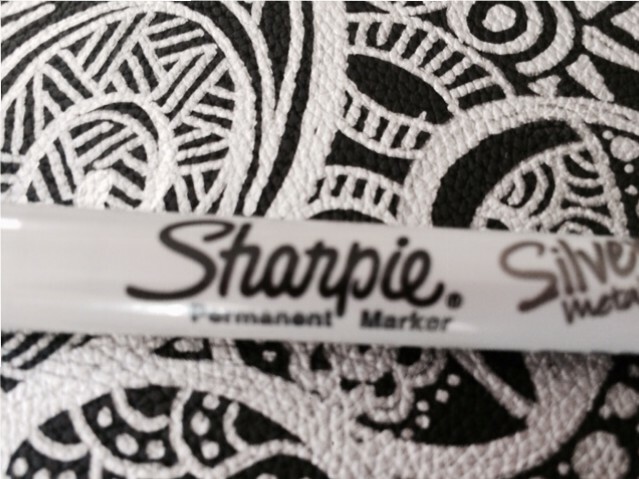 Step 3:…make your mark! Doodle to your heart’s content and see how the boring black background transforms into something you love to carry around and handle on a daily basis! This is the top that flips up and houses my iPad mini. 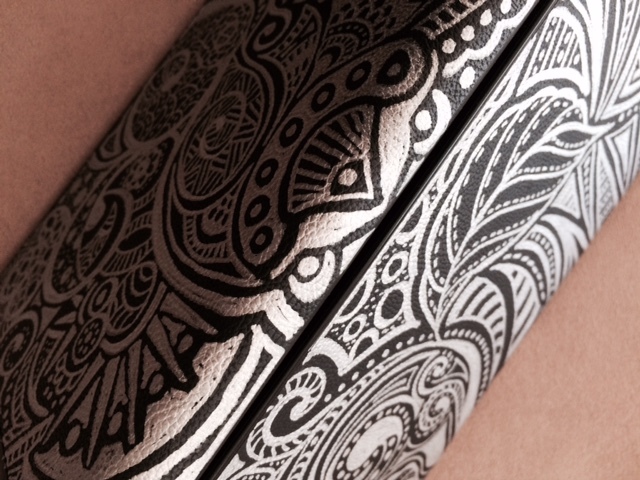 Step 4: This is the spine. I originally I intended to carry over the design to the back. But I soon realized that the spine presented a natural break in the keyboard cover. No worries… it didn’t stop me at all. Step 5: I decided to change design and direction slightly – but could not give up the curves and design challenges they presented. 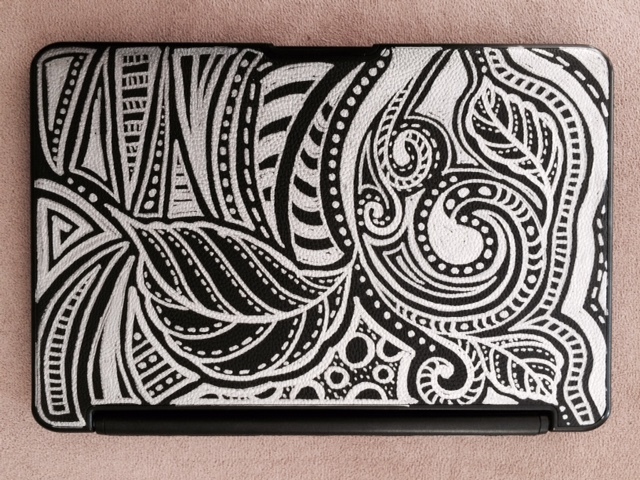 Voila – my brand new – reworked iPad cover that makes me smile when I pick it up and handle it! All this in less than an hour! Thanks for checking out today’s post! Reading all the way to the end pays off… It is time to host another reader challenge! Get ready – stay tuned! I will be announcing the challenge rules and prizes for participation on August 1st… only a couple of days away. Mark your calendar and check back with me then. If you have not subscribed to be notified when I post do so now! 30 Jul	This entry was published on July 30, 2015 at 10:36 am. It’s filed under Art, Creativity Update, Design, In the News, Journaling, Motivational, Refocusing Creativity, Repurpose & Re-Create, Sharing Resources, Special Project, staying in touch, Tutorial and tagged Announcing new contest, black and white designs, contrasting design, creating in the moment, creating with doodles, doodling, iPad cover transformation, lines and curves, making a generic iPad extraordinary, mark making, Sharpy magic. Bookmark the permalink. Follow any comments here with the RSS feed for this post. Looks to me like you were having yourself a little “me” time and a whole lot of fun! I’m very happy for you! You’re so inspired! This is lovely, as everything you create is, and YES, you should have a doodle time at AQC – at least the next time I go! 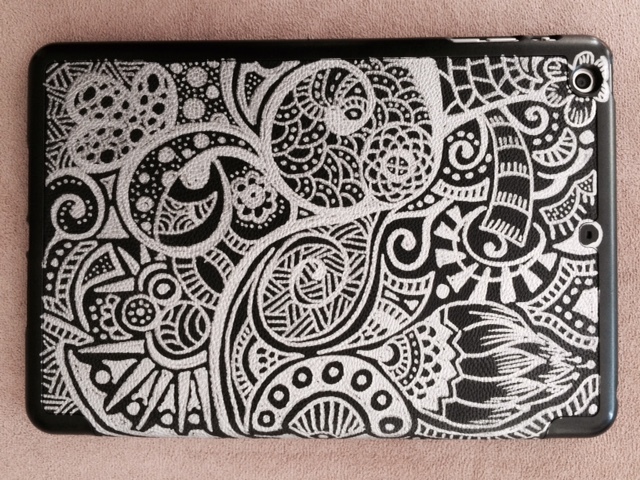 Have a great weekend Anna, and happy doodling! Happy weekend filled with creative endeavours to you, Helene! What a COOL idea. Fabulous artistry.Thanks for sharing. And that is why you were voted teacher of the year by CQA. Well done. Wish I had a smidgen of your talent. No talent necessary… Part of it is mot to second-guess and just put that marker to the surface! Trust in your abilities! Beautiful Anna! In less than an hour??? It would take me days! Nelly, part of this to be on the moment… One line lead to a curve and one built on the other. The time just flew by!